(25 January 1999) Arrested and released on bail after a fight with his wife. (May 1997) Had a plum-sized tumor removed from his sinus cavity. Starred with Russell Wong in the unreleased 1997 pilot episode of Hawaii Five-O. This pilot episode was filmed in Hawaii, but was not released due to a decision from CBS-TV executives. (October 4, 1999) Made a rare public appearance at the "Ray & Sharon Courts Hollywood Collectors & Celebrities Show" at the Beverly Garland Holiday Inn in North Hollywood. He sold personally autographed pictures from his own collection and charged $15.00 to take a picture with him. Was the last man killed on the TV show "Gunsmoke"
Attended Pittsburg State University in Pittsburg, Kansas in the Early 1960's. (9 June 1998) Filed for divorce from Tiani Warden; later withdrawn. Nearly a star on more than one occasion, this actor's career has had more than its share of ups and downs. 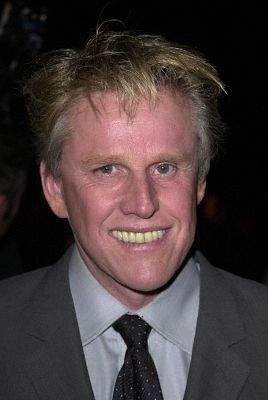 The once-lanky Busey worked as a drummer with Leon Russell, Kris Kristofferson, and Willie Nelson before turning to acting. The son of a Native American father and an Irish mother, Busey was raised in Oklahoma, where he worked on a ranch and rode bulls. His movie career started with 1971's biker epic Angels Hard as They Come (and almost ended in a tragic real-life motorcycle accident in December 1988). He moved up to chunky supporting roles in A Star Is Born (1976) and Straight Time (1978) before strapping on a guitar to play the title role (and actually perform his own songs) in The Buddy Holly Story (1978), for which he earned an Oscar nomination. Other prime roles came in Big Wednesday (1978), Foolin' Around (1980), Barbarosa (1982), D.C. Cab (1983), The Bear (1984, as Coach "Bear" Bryant), Insignificance (as a Joe DiMaggio prototype), Silver Bullet (both 1985), and Eye of the Tiger (1986). Once a protagonist, he more recently has found his juiciest opportunities in sinister supporting roles in Lethal Weapon (1987), Predator 2 (1990), Hider in the House (1991), and Under Siege (1992). 1993 offered him two unusually good supporting roles: as a freewheeling private eye in The Firm and as a down-on-his-luck pitcher who befriends the Rookie of the Year He continues to star in low-grade features and higher-profile cable TV movies.